Four fighters from UFC Fight Night 141 could be looking at lengthy medical suspensions. The post Should Chuck Liddell Fight Again or Nah? appeared first on Caged Insider. Signed, sealed and soon-to-be delivered. 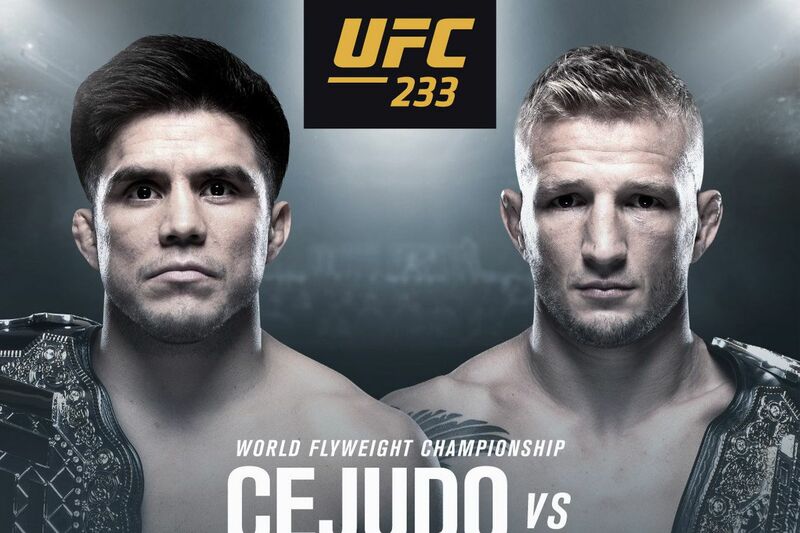 An Ultimate Fighting Championship (UFC) Flyweight title fight between current division kingpin Henry Cejudo and Bantamweight champ, T.J. Dillashaw, has been made official for the upcoming UFC 233 pay-per-view (PPV) event on January 26, 2018 inside The Honda Center in Anaheim, California. The fight has been rumored for quite some time, and now that it’s official, even more questions will be raised regarding the future of the 125-pound division under the UFC umbrella. After reports surfaced pointing to the promotion doing away with the weight class altogether following Demetrious Johnson’s move over to ONE FC, Dana White was non-committal on dissolving the division. Of course, the booking of the fight doesn’t necessarily mean the 125-pound weight class — which has already lost a few fighters — will remain in tact. It could simply be the promotion’s way of sending it off in style with one big “champion vs. champion” showdown. Plus, it could provide UFC’s next “champ-champ” should Dillashaw prove victorious. T.J. has been clamoring for a chance to compete for the 125-pound title since defending his 135-pound strap against Cody Garbrandt at UFC 227. Of course, “Viper” had a different opponent in mind at the time. Still, T.J. was very open to fighting Henry, as well, and will now get his chance at history, much to the chagrin of the 135-pound division, I’m sure. As for Cejudo, the fight will give him the chance to defend his title at least once and perhaps secure himself a guaranteed title shot at 135 pounds should he take out T.J. Either way, fight fans will be in for one hell of a title fight to kick of UFC’s PPV venture in 2019. Was Max Holloway for real? Sure, the Hawaiian captured the promotion’s interim featherweight title, thanks to a scintillating performance against the depleted Anthony Pettis, but no fighter at 145 pounds was able to call themselves king without first uncrowning division champion Jose Aldo. 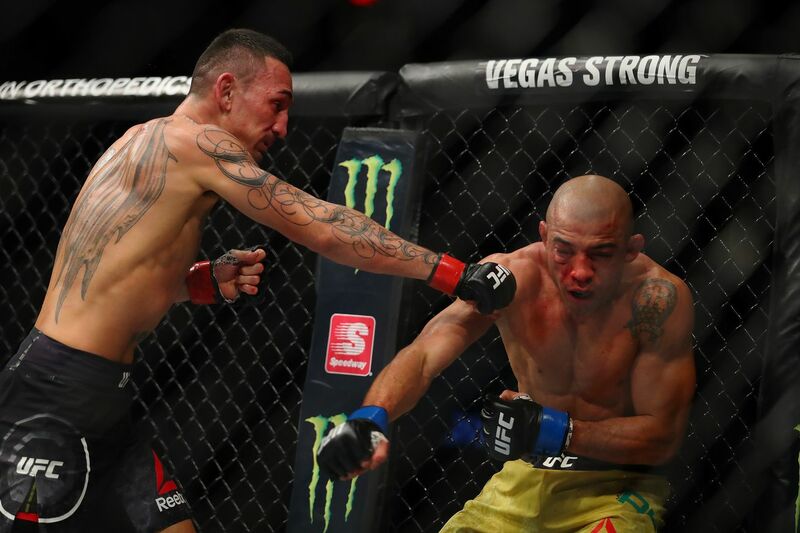 “Blessed” needed three rounds of punishment but ultimately prevailed against The Brazilian when they went to war in the UFC 212 pay-per-view (PPV) main event back in June 2017, a fight the promotion recently released in its entirety (embedded above) to hype up Holloway’s next title defense. Waiting for him in the UFC 231 headliner next month in Toronto is the unbeaten Brian Ortega (14-0), who earned his crack at the crown by stopping Frankie Edgar last March. They were originally paired off for UFC 226; however, Holloway (19-3) had some health issues that postponed the bout. Now they’re prepared to try it again for all the marbles in an event that features the flyweight title fight between Valentina Shevchenko and Joanna Jedrzejczyk. In fact, you can see the entire UFC 231 fight card and line up by clicking here. Tito Ortiz finally got his revenge on long-time rival Chuck Liddell last night (Sat., Nov. 24, 2018) live on pay-per-view (PPV) from inside The Forum in Inglewood, Calif., by finishing “Iceman” via first-round knockout. Having not competed in over eight years Liddell looked considerably slower. He struggled to get his feet underneath him from the opening bell and Ortiz waited for his chance to pounce. 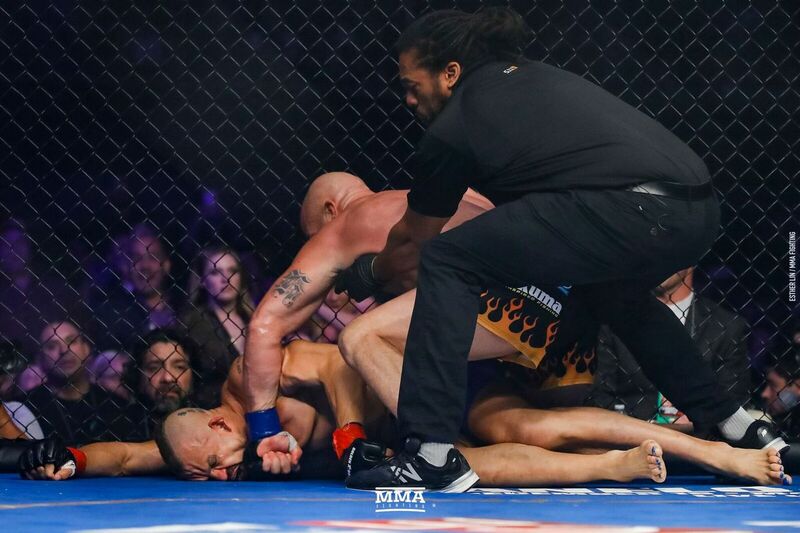 During an exchange of punches along the cage late into the first round Ortiz caught Liddell with a nasty right hand. Liddell dropped to the canvas and Ortiz landed a few more punches before the referee’s stoppage. Check out the finishing sequence above. There’s a reason Ortiz was pegged as the significant betting favorite entering this fight. He’s a retired fighter in his 40’s just like Liddell, but “Iceman” has been frozen for far too long and simply didn’t have any of his old tricks. 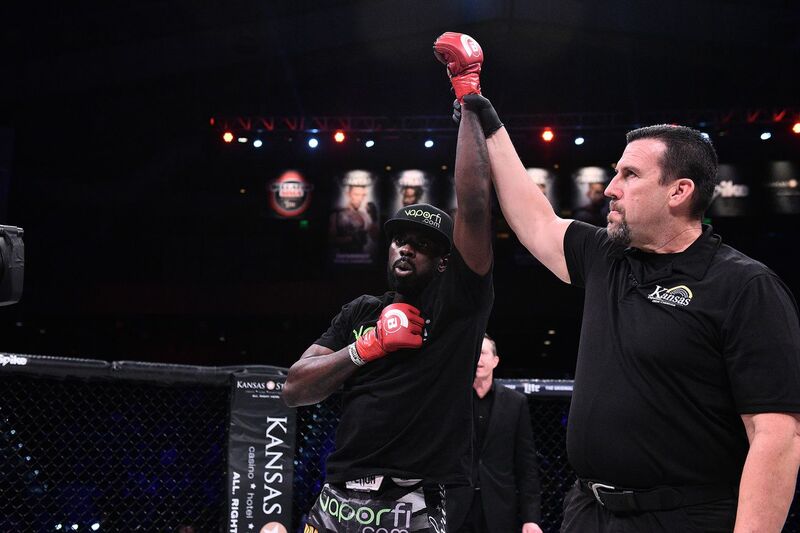 Ortiz was able to take his time and beat Chuck at his own game, essentially getting back the previous two loses he suffered at the hands of Liddell. For complete Liddell vs. Ortiz 3 results and coverage click here.